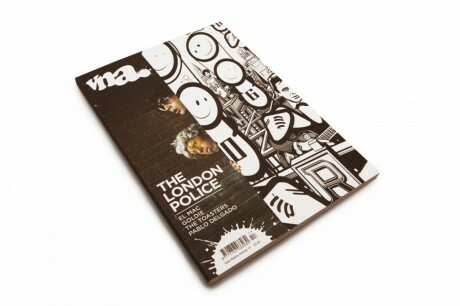 Issue 17 of VNA is ready for pre-order from their shop. This issue sees the cover stars, The London Police, in an exclusive interview which provides a unique take on their life and work. Furthermore, inside you’ll find VNA chatting to Goldie about cooking ‘cliffy chicken’, music and art and with Malarky and Pablo Delgado. The magazine launches on 8th December, so pre-order now and it should arrive on your doorstep on the morning of the 9th.